The Brazilian Investor Relations Institute (Instituto Brasileiro de Relações com Investidores – IBRI), in coordination with the Apimec Rio and with the support of FGV Projetos, held an international seminar on “Valuation and Investor Relations”. The event took place on August 25 on the 12th floor of the headquarters of the Fundação Getulio Vargas (FGV), shortly after the editions of Belo Horizonte (22) and São Paulo (24). 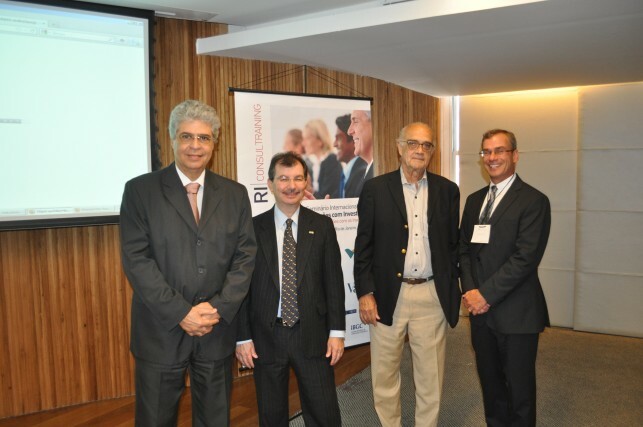 The seminar was conducted by Americans Vincent Catalano and Joe Hasset, and included the participation of distinguished professionals in the field of IR, presenting the current view of relations with investors in Brazil: Luiz Fernando Rolla (BH), Geraldo Soares (SP) and Marco Geovanne (RJ).